Mike Clegg and Ben Green could probably play the travel guide in Zell am See-Kaprun. That’s how well they know the region by now. After their first visit in autumn, they could now explore the area here in winter – and discover plenty of new facets. What fascinated these two the most in winter and what they would recommend further, we find out here. Mike and Ben were already fascinated by the free grazing cows in the region during their first trip in autumn. These two found the Augut Farm Shop particularly exciting for several reasons. They got an exclusive insight into the production and life on the farm, visited the cows in the barn, met the people on-site and thereafter tasted the home-made delicacies. Kaprun Castle was built in the 12th Century, was once a fortified castle and is used today for events and as a backdrop for special photos. Mike and Ben also took advantage of the situation and placed their cameras and tripods in front of the fortress. They especially liked the little pond, because the two just cannot resist reflections. Winter covers the fortress in a nearly mystical aura, and Ben made sure of the necessary dab of colour with his yellow jacket. 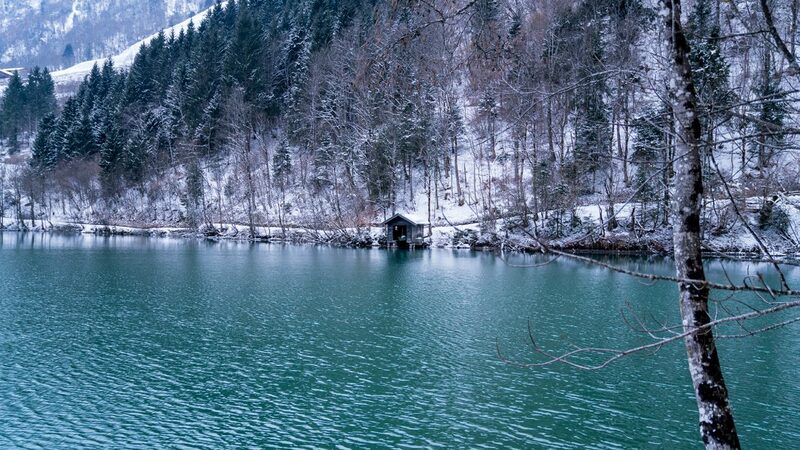 Lake Klammsee Kaprun is a highlight in the region – independent of the season. In autumn Ben and Mike were already bewitched by the variety of colours and by the spectacle of nature around the water. The lake had not lost any of its charm in winter, either. Via the Sigmund-Thun Gorge one can get directly to the shore and enjoy a few hours peace or take some time for beautiful photos – just as Mike and Ben did. In winter, the Kitzsteinhorn reveals its true beauty. When fresh snow covers the slopes and the summit panorama shows the surrounding mountains, one can get lost in the beauty of the glacier – just like Mike and Ben did. It was beautiful, despite the fog. Simply going onto the panorama platform “Top of Salzburg” is something very special. Not to mention the Summit World 3000 and the food in the Gletschermühle restaurant. 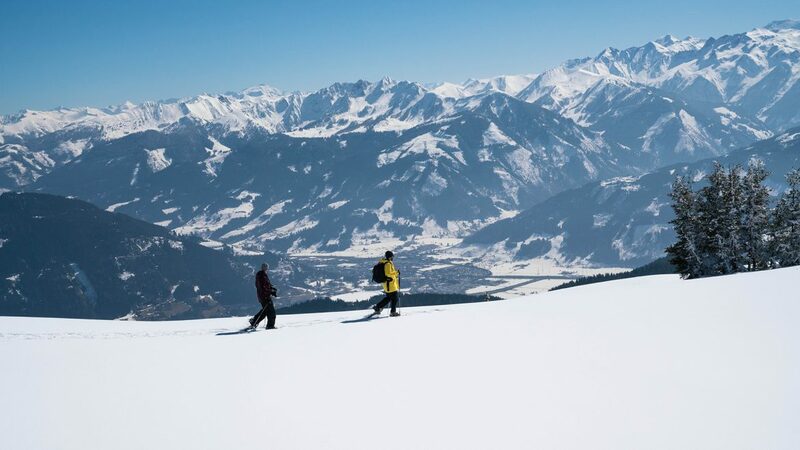 The Mitterberg is one of the many panoramic mountains in Zell am See-Kaprun. 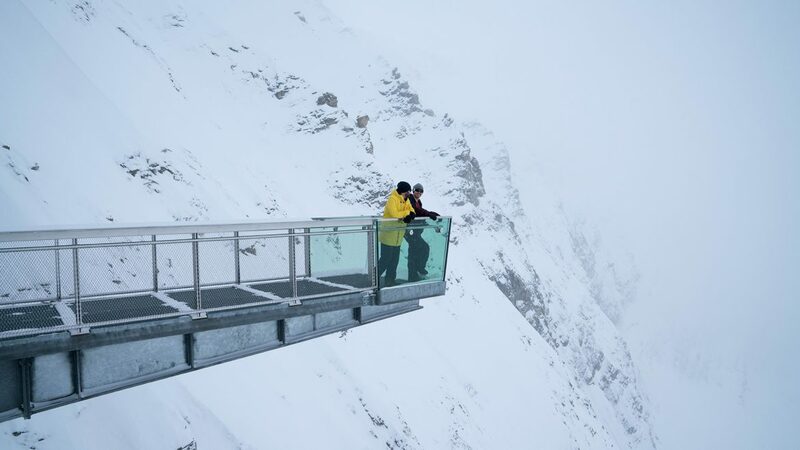 It only takes 20 minutes by car to get from the centre to the top – then one just has to wait. When the sun rises or sets, the mountains are reflected in the water of Lake Zell and when the water has a particularly nice atmosphere, then it’s the right time for the perfect photo. The Schmittenhöhe is a popular ski resort in winter, next to the Kitzsteinhorn in Zell am See-Kaprun. Though Mike and Ben not only strapped on skis and snowboards, they also put on snow-shoes. A guide from “bewegtKaprun” lead the two over slopes and treetops, right up to the Schmittenhöhe. From there, the two could see the beautiful summit panoramas and winter landscapes. Exercise makes you hungry. The body needs a refreshment, especially after sporty activities. The two Englishmen enjoyed the offerings in the newly opened AreitLounge. This modernly arranged restaurant offers, besides tasty Pinzgauer specialities, a comfortable sun-terrace and a breathtaking view of the Hohe Tauern Mountains. What more could you want­­? Mike and Ben had a special adrenaline kick during a helicopter sightseeing flight from MySnapAir. 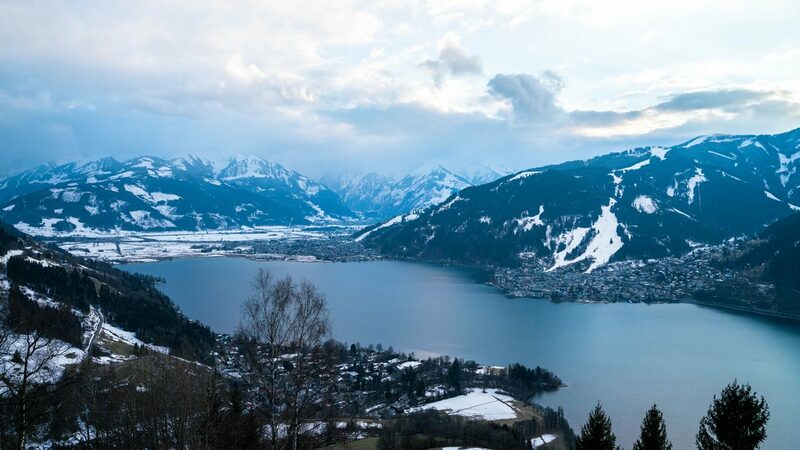 High above Zell am See-Kaprun, they could take some very special photos of the mountains, valleys and nature. As the pilot had himself been a photographer once, he knew exactly which perspective and positions were ideal for the two photographers. And Mike and Ben captured these perfectly.